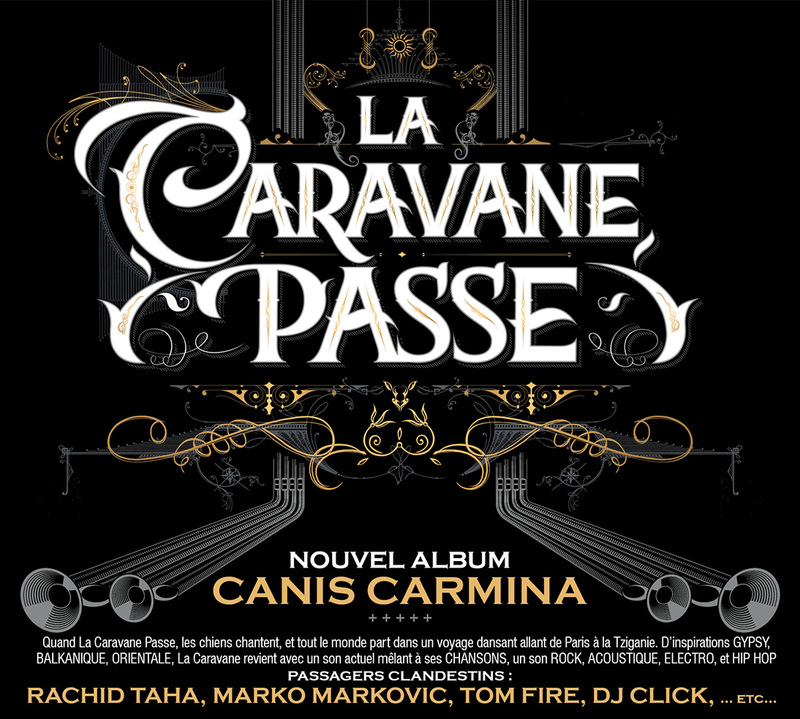 Springtime will see the album Canis Carmina / les chants du chien. With stupendous noises of the 15th anniversary of the band. 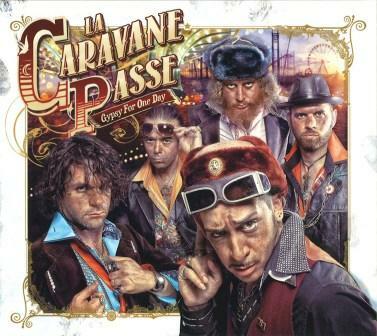 The wanderlust of La Caravane Passe. Rock, hip-hop, and ragga with spices of Eastern Europe and nowadays flavours. Music beyond limits of fashion or style. Leaving the audience with the shimmering feelings of nomadic deracination in an eternally drifting universe. Looking at mankind. Discovering peoples and cultures. Poetry and wonder. Reflecting outlandish news. For this 4th CD, the band proposes to slip into the skin of an urban nomad of the 21st century and to take a modern look at the sedentary humans that surround us.The album makes us dive into a fantastic and at the same time contemporary world. 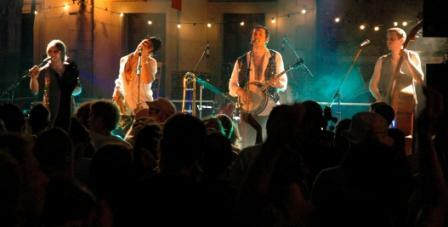 Musically, the band continues with gusto to open frontiers. There is no musical clannishness for the five “inter-gypsies”. 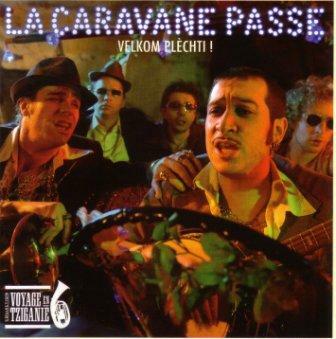 With Gypsyland in the background, La Caravane is very obviously a contemporary group. The rhythms of rock, swing, hip-hop and ska carry melodies with nomad harmonies, with brass and with electronics. ROADBOOK is a double album which includes a re-release of their previous album « Ahora in da Futur» and on the second cd, a live recordings and four remixes by DJ Click, Tom Fire, La Caravane Passe and Sayag Jazz Machine. With “Ahora in da Futur”, directed by Camille Ballon (No One is Innocent, Java, etc.) the group has taken a few clandestine travelers on board: Rachid Taha, R.Wan, Erika Serre, Marko Markovic, La fanfare Ziveli – a bright and varied bunch ready to embark for another journey into a multi-coloured neverland. 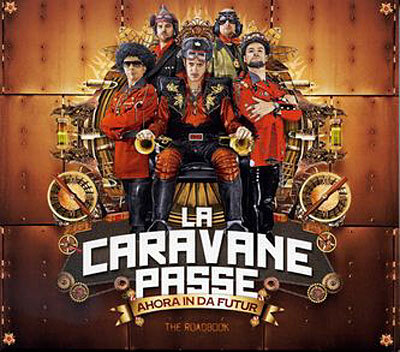 We had left LA CARAVANE PASSE in their imaginary village of Plèchti (last CD « Velkom Plèchti » in 2008). Since then, the band has been touring all across France and the old Continent. 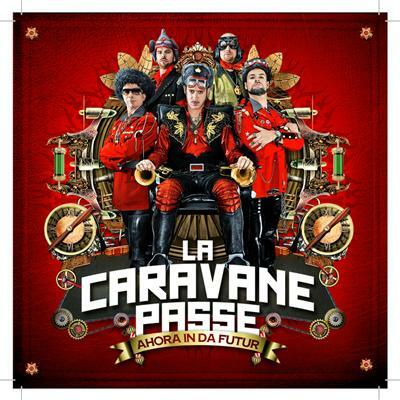 For their 3rd release, La Caravane has taken on a new look, electrified and transformed into a machine to zigzag through time and space. Directed this time by Camille Ballon (No One is Innocent, Java, etc.) the group has taken a few clandestine travelers on board: Rachid Taha, R.Wan, Erika Serre, Marko Markovic, La fanfare Ziveli – a bright and varied bunch ready to embark for another journey into a multi-coloured neverland: singers, electric guitars, bass and keyboards mix with gypsy guitars, brass and mandolins, producing “chanson française”, gypsy sounds, rap/world, Balkan ska and electro rock. That same adventurous mix can be found in the lyrics, with a homemade and world-inspired slang combining French and English, Serbian and Spanish, Romani and German. A trans-European melting pot telling of journeys beyond borders, of cultures and people. And if our cyber nomads were just shaping the future “homo Europaneo”?“Steam punk” and “retro-futurism” come to mind – and all of it can be found on stage where the band travels through the centuries in their costumes, creating a festive, crazy and timeless spectacle.